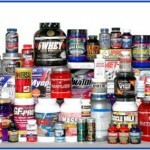 Know the amino acids – essential and non-essential. This series of articles is about everything you wanted to know about amino acids, but were afraid to ask. Amino acids are the building blocks of proteins. There are a total of 22 amino acids. 9 of these amino acids are considered “essential” amino acids, meaning they are essential for proper body function and muscle utilization since the body cannot synthesize them from other compounds. 3 of those 9 essential amino acids are considered BRANCHED CHAIN AMINO ACIDS, which you can read more about in our article about BCAAs. Let’s jump right in and list the amino acids for you to have extensive background knowledge on the topic. 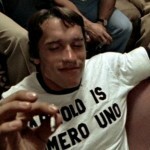 Let’s first get the non-essential amino acids outta the way before we get into the good stuff. Non-essential amino acids are synthesized by your body. The term ‘non-essential’ does not infer these amino acids are any less important. It’s just that your body can produce these on its own so you don’t need to get them from an outside source. Alanine can be produced in the body. 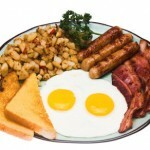 Alanine can be found in many different food sources, but is predominantly found in meats, fish, seafood, dairy products, and eggs. 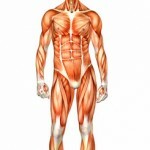 Alanine has been known to increase the rate at which you can perform high intensity activities, so it may be the best non-essential amino acid our bodies produce, and also is shown to raise muscle carnosine levels. Arginine is another amino acid that is produced in the body. 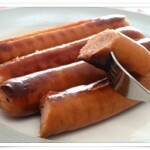 It is produced in one’s own blood vessels, and works to keep the blood vessel open. 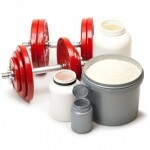 Arginine has also been shown to promote Growth Hormone production. Arginine has also been found useful in preventing the growth of cancerous tumors by supporting and enhancing the immune system. Asparagine is one of the most abundant amino acids – involved in the transport of nitrogen. Asparagine, isolated from the asparagus many many years ago, plays quite the essential role in converting one amino acid to another, when the body signals it do so. Aspartic Acid provides your cells with energy. The cells burn Aspartic Acid in order to generate ATP (adenosine triphosphate), which is the energy your cells need to operate. ATP can be read about more in depth by going to our Creatine Round Table series by following these links – Part 1, Part 2, and Part 3. Aspartic Acid also stimulates a receptor in the body which plays a role in memory and cognition. Though non-essential in nature, Aspartic Acid is very useful in the human body! Cysteine is used to manufacture other amino acids in the body. Cysteine is also essential for immune system activation and T-cell production. Human hair is also effected by this non-essential amino acid. When blood glucose levels are low, Cysteine can be converted into glucose. The gastrointestinal system also benefits from adequate Cysteine levels in the body. Glutamic Acid is widely present in plant based and animal based proteins. The brain can also produce this non-essential amino acid. Glutamic Acid is thought to improve clarity of the mind, resulting in better thinking processes as well as mental alertness. Glutamic Acid also happens to help muscles recover from strenuous muscle workouts. Glutamine is the most abundant amino acid found in humans. It is involved in more metabolic processes than any other amino acid, essential or non-essential. Glutamine performs a wide variety of functions – maintains proper pH levels in the body – preservation and rejuvenation of muscle tissue – regulating the immune system – stomach and intestinal health – is positive for the treatment of auto-immune deficiencies, as well as many other functions. Bottom line is – glutamine is good! 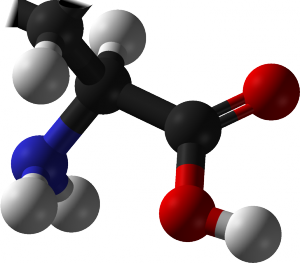 Glycine is one of the simplest amino acids found in the body. The body uses Glycine in liver detoxification as well as synthesizing bile acids. Glycine is also used as a sweetening agent, as it is naturally sweet. Glycine has also been shown to neutralize toxins in the body by converting them into harmless byproducts. The body uses Ornithine for immune support, healing of wounds, and liver support as well. Ornithine is also associated with the body’s production of Human Growth Hormone (HGH). Ornithine shows high anabolic activity, as well anti-aging benefits. Proline is THE amino acid for your skin. Proline also plays a major role in preventing clogging of the arteries in the human body. Proline is a component of collagen, which is the most abundant protein found in the human body naturally, and a major component of cells. Some of the things affected by Proline are the skin, tendons, blood vessels, bones, and the membranes of all organs. Selenocysteine is the only amino acid discovered to be coded genetically. Selenocysteine is a tricky one to explain in a few short sentences, so it is recommended highly that you visit this document and read more about this amino acid found virtually in every domain of life on Earth. Serine can be found in high concentrations in brain proteins and virtually in all cell membranes. This non-essential amino acid is involved in DNA and RNA processes. Serine is also a neurotransmitter in your central nervous system, as well as being a major contributor to the body’s production of Creatine! Serine also promotes the healthy metabolism of fats and fatty acids, muscle growth, and also contributes to immune system strength. The last non-essential amino acid on our list. Tyrosine plays an important rule for giving us our good moods, as well as vital function in our metabolisms. Tyrosine helps to regulate regulate mood, appetite, stimulation of growth hormone, and the nervous system. Tyrosine also helps in the promotion of melatonin. Well these are all the non-essential amino acids for ya. 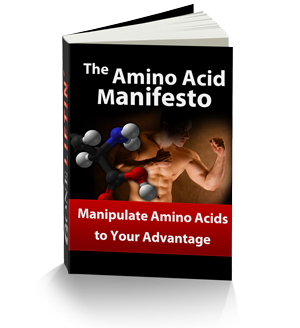 Continue on to The Amino Acid Manifesto – Essential Amino Acids to get into the good stuff.